Most of us are aware that the little button on a mixer or recorder that says “+48v” is used to activate power down an XLR mic cable to condenser microphones. Condenser mics need this power because their diaphragm is suspended in front of an electrically charged plate. As the diaphragm vibrates, the electrical signal is transmitted down the cable back to the mixer. Dynamic microphones do not need any type of power. That’s because when the air around a dynamic microphone vibrates with sound, it causes a diaphragm to vibrate as well. This diaphragm is attached to a coil of wire, which is attached to a transducer. The transducer converts the vibrations into an electrical signal. There is a common belief that connecting a dynamic mic to a phantom-powered input will damage it. Normally, that won’t happen. Yet, there are three possibilities for this damage to occur. Phantom Power: How it works. If there is a fault in the cable, phantom power may damage some mics by applying a voltage across the output of the microphone. The transient generated when a microphone is hot-plugged into an input with active phantom power can damage the microphone and possibly the preamp circuit of the input because not all pins of the microphone connector make contact at the same time. Also, there is an instant when current can flow to charge the capacitance of the cable from one side of the phantom-powered input and not the other. This is particularly a problem with long microphone cables. It is considered a good practice to disable phantom power to devices that don't require it. Phantom powered microphones have a wide operating range — from 9 volts DC to full 48 volts DC. Some console manufacturers, to save money, do not supply the full 48 volts. If you don’t know this information, check the audio mixer’s specs. Those are the basics, but there is much, much more to know about phantom power. But first, a little history. Phantom powering was first used in telephone systems with the introduction of the rotary-dial telephone in 1919. It would be many years before it was applied to microphones. The first commercially available phantom-powered microphone was the Schoeps CMT 20, introduced in 1964 and built to the specifications of French radio with 9–12 volt DC phantom power. The positive pole of this powering was grounded. 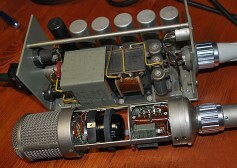 Microphone preamplifiers of the Nagra IV-series tape recorders offered this type of powering as an option for many years and Schoeps continued to support "negative phantom" until the CMT series was discontinued in the mid-1970s. The standard is now obsolete. In 1966, Neumann presented a new type of transistorized microphone to the Norwegian Broadcasting Corporation (NRK), who had requested phantom-powered operation. Since NRK already had 48 volts available in their studios for their emergency lighting systems, this voltage was used for powering the new KM 84 mics. This arrangement was later standardized in DIN 45596. Many of today’s microphones offer a choice of internal battery powering or (external) phantom powering. Rode’s NTG4+ shotgun even has a rechargeable battery. In some microphones, it is advisable to remove the internal batteries when phantom power is being used since batteries may corrode and leak chemicals. Other microphones are specifically designed to switch over to the internal batteries if an external supply fails. Neumann U-47 with power supply. Be aware that phantom powering is not always implemented correctly or adequately, even in professional-quality preamps, mixers and recorders. The reason, in part, is first-generation (late-1960s through mid-1970s) 48-volt phantom-powered condenser microphones had simple circuitry that required only small amounts of operating current (typically less than 1 mA per microphone). Phantom supply circuits typically built into recorders, mixers and preamps in that era were designed on the assumption that this current would be adequate. The original DIN 45596 phantom-power specification called for a maximum of 2 mA. This practice has carried forward to the present. Many 48 volt phantom power supply circuits, especially in low-cost and portable equipment, simply cannot supply more than one or two mA total without breaking down. Condenser mics manufactured beginning in the mid 1970s were designed to require much more current. The IEC standard now gives 10 mA as the maximum allowed current per microphone. If the required current is not available, the microphone may still put out a signal, but it cannot deliver its intended level of performance. The symptoms vary somewhat, but the most common result will be reduction of the maximum sound-pressure level that the microphone can handle without distortion. Some microphones will also show lower sensitivity. Another isssue is most ground lift switches have the unwanted effect of disconnecting phantom power. There must always be a DC current path between pin 1 of the microphone and the negative side of the 48 volt supply if power is to reach the microphone's electronics. Lifting the ground, which is normally pin 1, breaks this path and disables the phantom power supply. There are other considerations today. Digital microphones complying with the AES 42 standard may use 10 volts of phantom power. Power supplies can furnish up to 250 mA to digital microphones. A keyed variation of the usual XLR connector, the XLD connector, may be used to prevent accidental interchange of analog and digital devices. T-power, also known as A-B powering, described in DIN 45595, is an alternative to phantom powering that is still widely used in the world of production film sound. 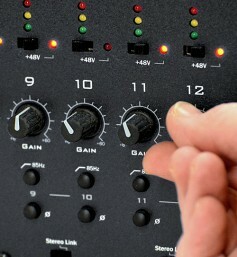 Many mixers and recorders intended for that market have a T-power option. Many older Sennheiser and Schoeps microphones use this powering method, although newer recorders and mixers are phasing it out. 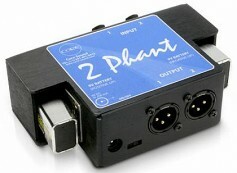 Core Audio 2Phant Power Supply. Another powering system is plug-in-power, a low-current three to five volt supply provided at the 3.5mm microphone jack of some portable recorders and computer sound cards. It is also defined in IEC 61938. It is unlike phantom power since it is an unbalanced interface with a low voltage (around +5 volts) connected to the signal conductor with return through the sleeve. Damage may result if these elctret microphones are connected to true 48 volt phantom power through a 3.5 mm to XLR adapter that connects the XLR shield to the 3.5 mm sleeve. A similar line-powering scheme is found in computer sound cards. Both plug-in-power and soundcard power are defined in the second edition of IEC 61938. Professional sound operators working on location often use professional quality battery operated power supplies to insure they are giving the microphone the necessary power. A portable power supply must be able to provide between 44 and 52 Volts DC at currents up to 10 milliamp per microphone channel. Some professional microphones, like the Earthworks, require the full 10 milliamps of current. Anything less will compromise its performance. Others including Schoeps, AKG, CAD Equitek, Shure KSM-series and Neumann microphones require four or more mA. 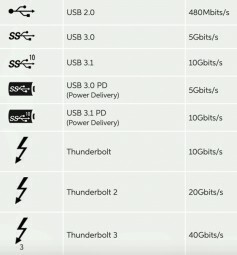 Many portable supplies are not capable of that kind of power output. 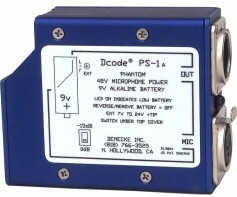 Two top brands can provide the full 10 milliamps of power from standard nine-volt batteries: Denecke PS-1a (#128.25) and 2 ($142.50) and Core Sound’s 2Phant ($275.00). Most phantom power is simple to use when you learn the specs of your microphones and gear and match them correctly. But when working with gear not your own, it is important to be aware of the many issues that can arise using phantom power to avoid the gotchas.